Israel’s Electoral System: the Best for Us? As elections draw close, friends and family back in the old country often ask me how someone who grew up in the U.S. with a relatively simple and seemingly stable two-party system makes sense of Israel’s very different approach, with up to a dozen parties who have to be coaxed, coerced and wheedled together into tenuous coalitions that rarely last their full term and are defined more by their level of fractiousness than good governance. Israel would be so much better off adopting the U.S. model, my overseas armchair pundits say, with just two big parties (and the occasional surprise independent), where representatives are elected by district in order to be held accountable to their neighborhood constituencies. Indeed, as the last government collapsed less than two years after its optimistic inception, I found myself longing for the perceived political stability of my youth. But then Haim Watzman set me straight. 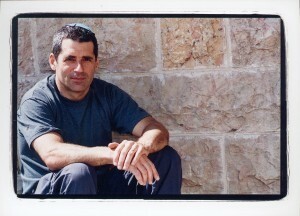 Watzman is a Jerusalem-based journalist, writer and translator. He has written the “Necessary Stories” column at The Jerusalem Report for many years and is the author of two books, “Company C: An American’s Life as a Citizen-Soldier in Israel” and “A Crack in the Earth: A Journey Up Israel’s Rift Valley,” both published by Farrar, Straus & Giroux. Last month, Watzman was invited on a speaking tour of the U.S. to explain Israel’s electoral system. Before he left, he gave a preview of his talk in Jerusalem. 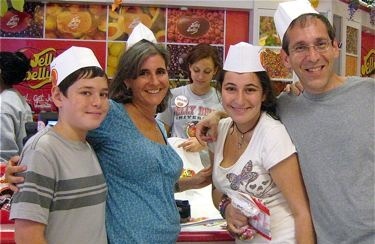 Watzman is not a politician or even a political scientist, just an astute observer who has lived in Israel since 1978. But his conclusions make a lot of sense. As Watzman describes it, Israel’s system of proportional representation is not only uniquely appropriate for the Holy Land’s demographics, it is in many ways a better system than the one he and I grew up with in the U.S.
First, a basic definition: “proportional representation” means exactly what it sounds like. According to Mirriam-Webster, it’s a system where “the number of seats held by members of a political party in a legislature is determined by the number of votes its candidates receive in an election.” That is, if 30 percent of the electorate supports a particular political party, then roughly 30 percent of seats will be won by that party. The key to proportional representation is that all votes contribute to the result, not just a plurality or a bare majority. Compare this with the two party system in the U.S. – if your candidate doesn’t win, your vote is essentially thrown out. If the opposing candidate holds radically different views, you have no representation at all. That was a guiding principle when Israel was first setting up its own electoral system: ensuring that every citizen’s voice counted. As Watzman explained in his talk, we were, after all, a nation of immigrants, with widely varying backgrounds, ethnicities and social, political and religious views. To disenfranchise any minority would have had the exact opposite effect to fostering the unity the early nation so desperately needed. This argument also applies to why Israel didn’t adopt a hybrid approach that combines an overall proportional system with some local representation (a proposal known as “mixed member proportional representation” and one that frequently makes its way into the public discourse whenever there are calls to change the system). Why do we vote only for parties and not for individual politicians? Israel’s diverse population in its early years simply didn’t “clump” in clean geographic regions. It still doesn’t. In my Jerusalem neighborhood of Baka, there are religious, secular, Sabras, Anglos, French, wealthy, impoverished, Ashkenazim, Sephardim and everything in between. If we could only elect a single Knesset member from a single party for our district, would that person be able – or willing – to properly represent everyone else? Watzman gave an example from when he first arrived in the country. He volunteered on a moshav called Hatzor HaGlilit, which is near Rosh Pina in the Upper Galilee. During the 1950’s, downtrodden immigrants from North Africa were sent there and formed most of its population. If the residents of Hatzor HaGlilit could only have voted for a local representative, it’s most likely that person would have come from the (then) larger town of Rosh Pina or one of the big Ashkenazi kibbutzim nearby. So, if proportional representation is so great, why do we have such gridlock in the Knesset? Why do our governments fall with such frequency? It must be the need to build unwieldy coalitions and the tyranny of the small parties over the large. Here, Watzman brought out some charts showing how early coalitions looked and the result was a system that was more stable than you might think looking at recent history. In the very first Knesset, David Ben-Gurion’s Mapai party won 46 seats out of the parliament’s 120. The next closest parties were Mapam with 19 seats, the United Religious Front (the forerunner to the National Religious Party and today’s Jewish Home) with 16, and Herut (which would later morph into Likud) with 14. Mapai was powerful enough to keep the main portfolios for itself, where there was general agreement over priorities and strategy, while bringing in smaller parties to handle more narrow issues. So the coalition Ben-Gurion built in 1949 included not Mapam or Herut, but the Progressive Party (5 seats), the Sephardim and Oriental Communities party (4 seats), and the Democratic List of Nazareth (2 seats), in addition to the larger United Religious Front. While that strategy might sound stable, it wasn’t, really: as early as 1950 Ben-Gurion had resigned over disagreements with the religious party. But the approach of keeping the “important” portfolios for the largest party continued for many years. What’s happened in recent years, Watzman pointed out, is the rise of a greater number of medium-sized parties, which demand key ministries as part of a coalition agreement. That’s how Yair Lapid’s Yesh Atid wound up with the finance, health and education ministries, and how Avigdor Liberman, although ostensibly merged with the Likud, got the foreign ministry in the last Knesset. These non-Likudniks had their own agendas and their own campaign preening to worry about and, as we saw, they often disagreed, vocally and on an international stage, with the government’s (and the coalition’s) official positions. Given that the next Knesset will undoubtedly be filled with more medium-sized parties, have we reached an impasse where effective governing will be impossible, no matter who wins on March 17? Is it time to think about the U.S. system? Again, Watzman says no. The gridlock we see in Israel is happening with equal ferocity in the U.S., where Democrats and Republicans can barely stand to be in the same room and government shutdown is the latest competitive sport. Not everyone agrees with Watzman. Seth Freedman, writing in The Guardian, says that the burdens of coalition building stymie long-term planning and that “too many cooks routinely spoil the broth – especially when many of them hail from the extremist…end of the political spectrum.” (Read that from either the left or the right, please.) Smaller parties can, and routinely have, held the larger parties hostage for both financial and ideological demands with which the majority of Israelis don’t agree. Even so, I still tend to side more with Watzman – that despite Israel’s political system seeming “foreign” to immigrants from the U.S., it’s what Israel needed 67 years ago…and it’s probably the best option even for today. Can there be tweaks? For sure. But they’re not necessarily with the system but rather directed towards the individuals who choose to run for office. As long as the people most interested in getting into the Knesset remain the same self-serving, corrupt, and bickering bunch, the dysfunction will not dissipate. Is that a result of the proportional representation and coalition system? Maybe. But here I am hopeful. There are some good eggs boiling and some forward thinkers on the horizon. If they can be given time to govern, to actually promote and implement policies, instead of focusing just on short-term gains that can be turned into viral videos for the next campaign, our electoral system need not condemn us. As crazy as it sounds, our very own Knesset could someday serve as a beacon of sanity and a light unto the nations. I voted for Israel’s electoral system first over at The Jerusalem Post. Next post: Who Took My Bar Munchies?